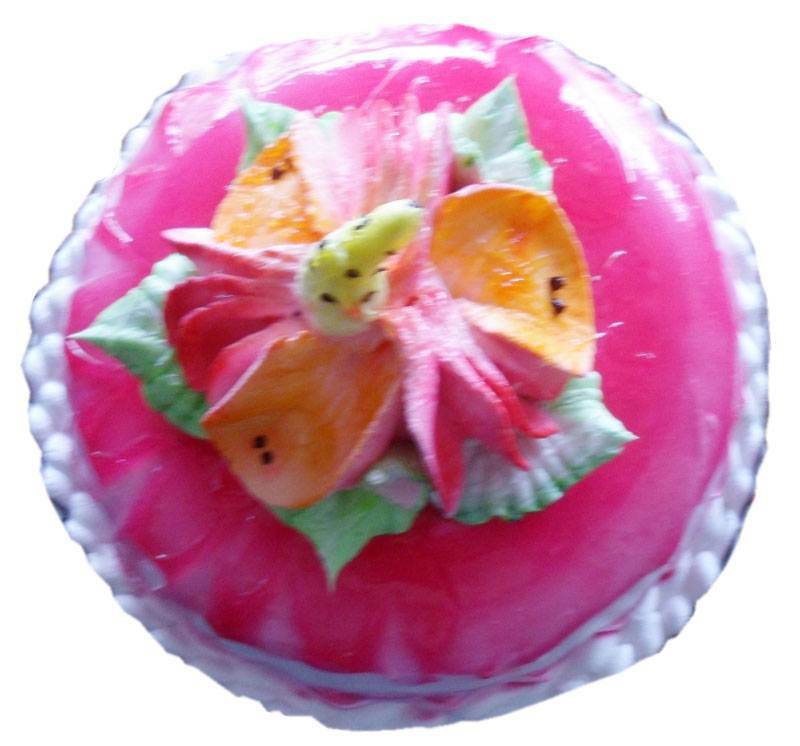 A cake is inside as secret kept by the fruit glaze cotted outside in the surface. This cake is really delicious with chocolate taste along with fruit juicy flavour from the glaze. And the secret inside is black forest cake.